Canon EOPN is provided for you and you can open it with "EOP NMN Follow ME" plugin to play "Canon piano" by following it. Enjoy Now! 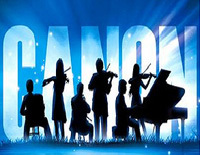 Canon, or Pachelbel's Canon, is a piece of music by the German Baroque composer Johann Pachelbel. It is his most famous composition.